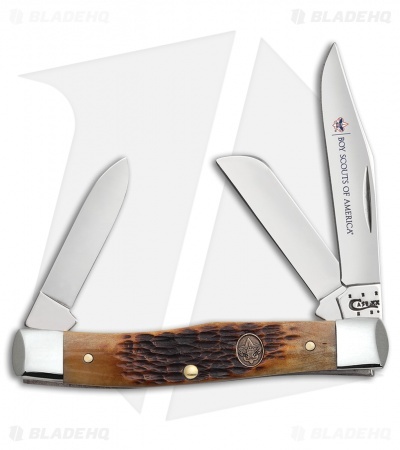 This Case Boy Scout pocket knife offers a three blade Stockman design with stainless steel blades and a jigged bone handle. It features clip, sheepsfoot, and pen blades in a satin finish. This Medium Stockman model has a brown jigged bone handle with nickel silver bolsters and a B.S.A. inlay shield.